After nearly 8 years in the hot seat, 2005 Winter Yorkshires was Mick Gartside's last as Dartes Head Coach. Winning more medals than any other team in the Winter Competition is a fitting end to his tenure. 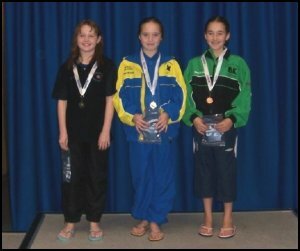 Laura won a clean sweep of 5 gold medals, Enya won 4 silver medals along with a 5th place finish. Molly Grayson and Rhiannon Hill on the podium in first and second place. 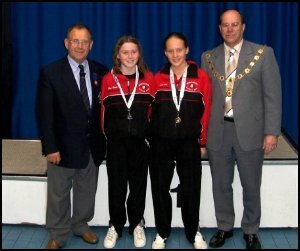 Both girls won 2 gold medals a piece along with a number of silver and bronze medals between them. 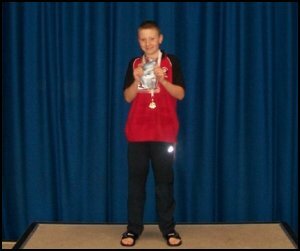 Max Litchfield won 2 gold medals in the 100m Freestyle and 100m Backstroke along with 3 Silver medals. 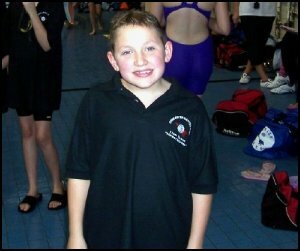 Max also swam a national qualifying time in the 200m Medley. 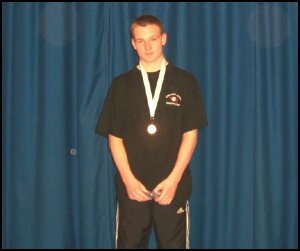 Liam Tymon won 4 Gold medals in the 100m Freestyle, 100m Breaststroke, 100m Butterfly and 200m Medley. 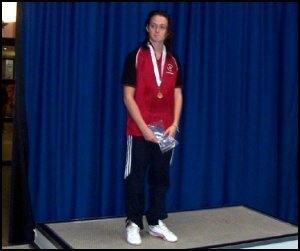 Chantal Aldridge gold medal winner and a national qualifying time in the 100m Breaststroke. Chantal also made finals in 2 other events. 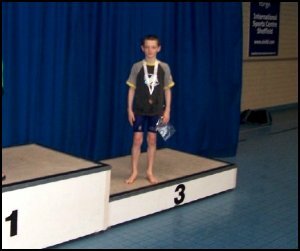 Jonathon Gatus won 2 gold medals in the 100m Freestyle and 100m Breaststroke along with 3 Bronze medals. 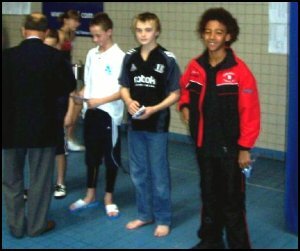 Benjamin Gatus collected 3 bronze medals in the 100m Freestyle, 100m Backstroke and 100m Breaststroke. 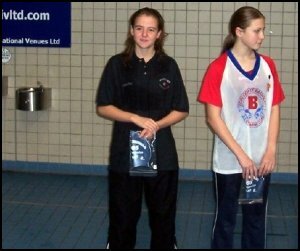 Sophie Coy made four finals in total, her best effort was in the 200m Medley finishing in 5th place. Jerome Hizzert made 2 finals finishing 5th in the 100m Breaststroke and 6th in the 100m Freestyle. 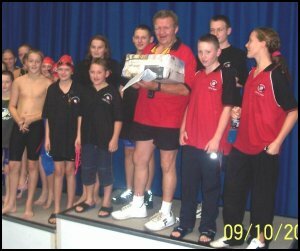 Mick Gartside at his final Meet as the DARTES chief coach. 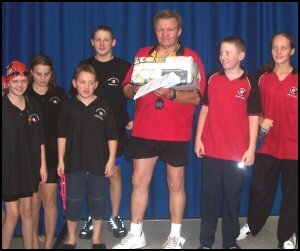 The DARTES swimmers get together to show their appreciation for chief coach Mick Gartside who steps down after this Meet.